The effects of a genetic disorder started affecting one of my hands. Now it's barely visible and only causes mild discomfort and a slight loss of agility, but upon reaching its final stage my hand will look visibly deformed and I won't be able to move my fingers. This will happen at worst case in around 2-3 years, and if I'm very lucky, it might take 10 or even 20 years (there were confirmed cases with other patients where it lasted that long, but that's very rare). There is no known treatment besides a surgery which will at most have cosmetic effects, but won't restore much, if any, mobility. How will this affect my career as a programmer? I started working approximately 8 years ago in the field, and I know that typing speed is, by far, not the most important thing which makes someone a good programmer. However we often do need to type a lot of code, and losing one hand will drastically limit my typing speed (and cause my remaining hand to tire faster). I'm right-handed, and fortunately my left hand is the one which is affected. Still, as I use IDEs with mouse and keyboard, I rely a lot on my left hand. One solution would be to move upwards to management, but as I like coding, I don't like the idea of a purely managerial role where I do no coding. Currently I'm in a senior role where I can delegate tasks to other people, but most of my work does consist of coding, and I like it. I like both my current job and my current company. However, I'll have to adjust for my reduction in typing speed as my condition worsens. My wrist will remain useable, so pressing large keys at the left side of the keyboard (ctrl, shift, etc.) with my left hand will probably remain possible. Another problem is if something happens with my current company and I have to find another job. Now, for half a year or maybe a year, I will probably still be able to hide my condition, not that I would find such a thing ethical (but "advertising" it in the interview is also not a thing which I know whether it's a good idea). But after that, why would someone hire me if they can find someone of similar skill and experience who has two healthy hands? I'm in my early thirties and could still learn a new profession, if that would be really necessary (but I would prefer not to). Are there any among you who are professional programmers and have only one useful hand? Is it possible to adjust, and be an effective programmer with only one hand? Edit: thank you for all the answers, suggestions and encouragement. I even feel a little bit ashamed for asking, as I realize that there are many people with conditions much worse then mine (having a functioning wrist, a lot can be done with the thumb and index fingers even if they have very limited mobility) and they still manage it very well. It need not have a significant impact. Many programmers work with medical issues ranging from quadriplegia, to blindness, to carpal tunnel syndrome. Some programmers have long and productive careers without ever learning to touch type. I personally have found that being able to touch-type reasonably quickly does help my productivity, but after working for 35 years as a developer I've found that I spend way more time reading and thinking than I do typing. I'd suggest getting in touch with an occupational therapist and start getting up to speed on assistive technologies that will help you maintain your productivity. I am a web developer, and I lack the use of both hands and wrists due to quadriplegia. You need not fear that losing the use of a hand excludes you from the programming field. As you say, there is much more to programming than typing speed. I type at a sad maximum of 20 WPM, yet I still am considered a competent developer. However, there are difficulties that lead to topics you may need to think about sooner or later. Disclaimer: My level of ability is very different from your prognosis, so I may see things very differently than you will actually experience them. I am drawing from my own challenges while writing this. I am also from the US. I have actually found programming to be a particularly forgiving occupation for mobility issues. Computers and workstations can be modified in numerous ways, and details like autocomplete and keybindings can be a big help. You may find equipment that suits your needs, such as an adaptive keyboard or even something as simple as a hand brace. I'd advise you to consider these assistive tools, but don't feel required to use them. No solution works for everyone, and things that others (occupational therapists, concerned friends) believe will help might not always be useful. For instance, I forgo voice-to-text for programming because I find it clunky for that purpose and speaking disrupts my thought process. Your employer or government agencies will usually be willing to help you acquire assistive technology that you need to work. In the event that you do find yourself being passed over on account of your condition, what I have found to be the greatest help in overcoming employers' perceptions that a lack of mobility will significantly affect your work is having people who know that is not the case and who are willing to recommend you. My brother, who also works in programming, has been absolutely amazing in helping me out in that way. Additionally, many programming jobs are remote these days, leading to interviews that are also remote. In such a situation, you could wait to disclose your condition. You are likely not even required to mention it at all, though you may want to in order to request accommodations or avoid questions later. I work remotely, and most of the people on my team do not even know about my condition. I allow it to stay that way because I find it refreshing to know nobody is judging my work by different standards. I used to work with a developer who was missing most of his right hand. He had some of his index finger, and a thumb, both very small and weak compared to his good hand, and no other fingers on that hand. This had no obvious effect on his programming ability, and he was regarded as quite talented. He did not try to type with that hand at all. He could move a mouse with it, simply by resting his hand on top and moving his arm muscles, and had a special mouse that he could click in some way that I never quite understood. He did play minor practical jokes, like shaking hands with the mutilated hand with people who hadn't spotted it, but everyone reckoned that getting some fun out of it was reasonable, giving the limitations it imposed on him. So I don't think this problem needs to limit your career at all. You'll have to work out some adaptations to it, but problem-solving is what programmers do. I'm a software engineer too. I broke my right humerus a couple of years ago and the inflammation ended up pinching off nerves and leaving my whole right arm a useless floppy noodle for months. I ended up using a software version of the Half Qwerty keyboard. I broke my right arm, so I would put my left hand in the usual spot on the left side of the keyboard. Then to type a letter on the right side of the keyboard, you hold the spacebar and press the corresponding key mirrored across to the left side. For example, to type P I would hold space and type Q. Within a month or so I was pretty comfortable typing with one hand. Coding was not an issue at all; the real difficulty was writing long-form stuff like documentation. 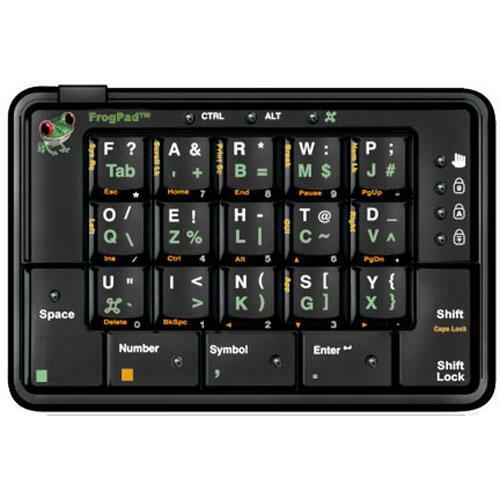 But you've got an advantage in that the onset will be slower and you can gradually develop your one-handed typing skills with a real solution like the FrogPad or another chorded keyboard. People can get crazy fast with those. So I wouldn't worry if I were you. Don’t panic - you know yourself how fast the computer world has progressed. If you do end up find typing too challenging, and others have pointed out keyboards etc, the advances in « speech to text » recognition will probably provide a possible solution. As others have commented, typing speed isn't really that useful for a developer. That said, it can be useful to keep your eyes on the screen while typing, so you might be interested in using a keyboard that allows you to touch-type with one hand, such as a chorded keyboard or a single-hand keyboard. I was born with one hand. My right hand is kinda like a stub, and I use it for typing. It's like I'm typing with 6 fingers instead of 10, but still pretty fast. It has zero affect on my programming abilities whatsoever. I don't use any assistive devices at all. I use a qwerty keyboard and a ambidextrous mouse. I don't use assistive devices mostly because that restricts my ability to use new gadgets or go type on a colleagues computer when doing some pair programming. If you can use a finger on your other hand to type using some arm and wrist muscles, you probably don't need anything extra. Just some getting used to. If you're gonna write with one hand only, take a look at some Dvorak keyboard layouts, they have one-handed versions as well. I tried it, but I like qwerty better. I bet this will have zero affect on your ability as a programmer. I spent quite some time looking for an alternative tech to keyboards to improve speed. I found this which is a typing glove, which is used as a keyboard and mouse for a single hand. It is slower than a two handed keyboard but it seems way faster than a single hand keyboard since it can swap from keyboard and mouse instantly. https://www.tapwithus.com/ It will require some training but it's worth a try. Although this answer has a lot of good answers focusing on Assistive Technology (and in my job, we support DragonSpeak for the Mobility-Impaired employees), Lower Technology can also be good. Coding isn't just typing, it's thinking & problem solving -- if your handwriting is still clear, then decision trees, post-its, whiteboards -- all of those can be ways to work through the code BEFORE getting it into the computer. For debugging, perhaps focus on print-outs and then highlight errors, and perhaps you'll have an assistant or intern who can make the specific changes? One that is more tech-focused: Get to know your keyboard shortcuts -- I sometimes now use JAWS (a screen-reader) without the headset, because I like the keyboard shortcuts I get with it. Every program has a lot more probably built in than the ones you already know. There are also foot pedal devices available, which can be programmed for common keystrokes, like Ctrl/C, Ctrl/X, Ctrl/V. They would probably help compensate for the weak hand. If you are able to build electronic devices, or know someone who can, you may even consider building a custom foot-pedal board, with as many buttons/pedals as you think are appropriate. You can also build all sorts of other trick devices that would customize your chair or desk, which would let you do things like use a sideways press of your knee to replace the Shift key, or tongue-press devices, which you could hold in your teeth and press for certain keys. Look around at what other people with disabilities have built or arranged for themselves, and don't be afraid to try something just because it may look silly. Mostly, as many other people have said, programming is about your brain, not your hand. You will have to make some adjustments, and some of them will be frustrating, but if you like what you're doing and you're good at it, there is no reason to let your hand derail your career. First of all your knowledge and experience are far more valuable than your speed of typing. Of course you may meet people who do not understand that in your professional career but in general you should not be concerned about that. There are few things you may consider to address the situation (in addition to other's suggestion). You said you are still able to press large buttons. I assume you'll also be able to make larger moves of the whole hand. So rather than using this hand as the main one for the keyboard switch the roles. This way your hand will still provide you some extra productivity. It takes some time to adapt but it can be really useful (I did that regardless of the needs. It was just boosting my productivity a bit). While in general in most European country it's illegal to bias your employers choice based on their health conditions (either way) having a formal confirmation will actually help your company compensate (at least to some level) the eventual loss of productivity. There are additional benefits to companies hiring people with disabilities (usually related to tax exemptions but it may also contain other support, eg. equipment reducing the negative effects of the sickness). You will probably have some personal benefits in addition (eg. cheaper medicines or support when buying some special equipment). This advice is mostly in case you have to look for another job. As a freelancer working from home you usually get your goals set and it's up to you how you make sure you meet them. As long as you deliver, you have your job. Yes, I realise it's difficult to change your job and you even mention that it's something you don't want to do. But if you want to advance in your career you probably have to change your job anyway to managerial. You may not look for it now or you can perceive it in a negative way but look at it from a different perspective. You still have at least few years when your hand is in at least acceptable condition. Use that time not only to work but also to get some more insight into more managerial work. Learn management, find pleasure in it. It might be that you will want to actually do it in few years. It also doesn't have to be strictly managing. You can give lectures or lead courses. You can focus more on things like code revisions and so on. You can look for things where larger parts of development are done with a mouse (GUI? RPA?). This should probably be the first point. Things are changing. Who knows where are we going to be in 3 or 5 years. You may as well have some NLP based programmes and programming will look more like talking to a colleague than typing on a keyboard. Just be open and never let your sickness limit you! I've worked for twenty years as a developer from dba to now director of technology. Most of coding is thinking maybe 10% is typing. Learn a good scripting language to do the repetitive stuff for you. (All productive devs should do this anyway). The only thing I've found difficult are video games, but a 7 button mouse and a set of USB pedals fix that. From very limited experience (typing while holding a phone in the left hand), if you can't operate shift key etc. with the handicapped hand, that is a significant slow down, but as long as you can operate shift key etc. and can use one hand for typing, it slows you down a bit but not that much. Since a lot of your time is spent thinking, designing, looking for bugs etc., I would say that with a left hand that is not totally useless you probably still can work at 98% of your normal capacity. You'd still be better than a bad typist. This might be just piling on at this point, but just a brief suggestion- start leaning to type with your right hand now! I don't have a disability of any form, but ever since I was young I typed exclusively using one hand. My WPM is comparable or significantly higher than most two-handed typers. With practice, it is absolutely do-able, and you can dedicate your other hand (roughly) to using the mouse for things like selecting for copy-paste or whatever you want. Obviously I can't exactly relate, but I hope at least that what I said could give you hope and a way forward. :) Best of luck. 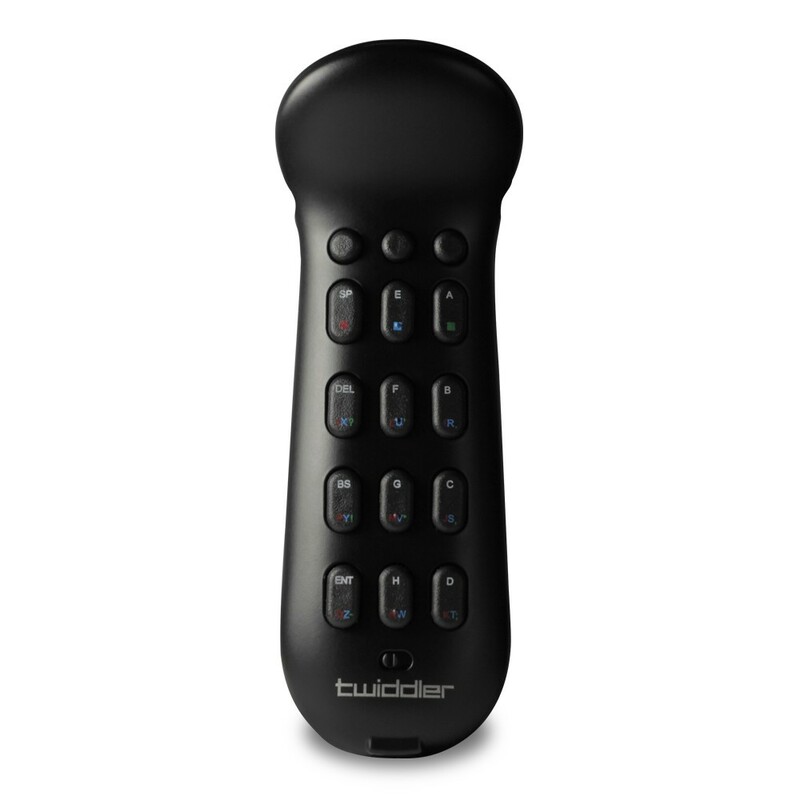 The Twiddler 3 - is a one handed keyboard and mouse replacement. Do not bring up your disability* in interviews. At least in the US, you would be putting your potential employer in a difficult situation by bringing up a disability, because you then put them in a position to illegally discriminate against you**. (They could even, potentially, think you are doing it on purpose to push them into hiring you.) You risk changing a simple interview into a legal minefield, not to mention potentially making it socially awkward (it's a simple fact that many people are so worried about offending a person with a disability that they trip over themselves in cringe-inducing ways trying to talk around it or "show supportiveness" or whatever). At some point, as you say, it will be plainly visible. Even then, I would say not to bring it up, for the same reasons mentioned above. One thing you can do to preempt the question that will arise in some minds (even though they are legally not allowed to ask it aloud)--"wait, can this dude even code with his hand like that?" --is to have a significant body of open source contributions available on github. List them on your resume, so if they wonder what you can do, the answer is right there, and incontrovertible. *As other answers have noted, it's very questionable to even call this a disability for a programmer, but it's definitely a physical disability by definition. **This applies not only to physical disabilities, but any protected class. Interviewers do not want to know, because, if they don't know, they can't be accused of making a decision not to hire based on that information. I know a programmer who psuedo-codes in Dragonly Speaking, modifying the software to not check spelling and grammar. He then refines by modified hand control. It might be worth looking into a verbally queued software or even installing the Windows freebie and start working with it. The hard part is "training" the software to understand your meaning. Not the answer you're looking for? Browse other questions tagged software-industry health europe disability or ask your own question. How important is Bachelor's degree for a programmer? How can I request a mentor/helping hand in my company to learn coding? Will switching again affect my career?